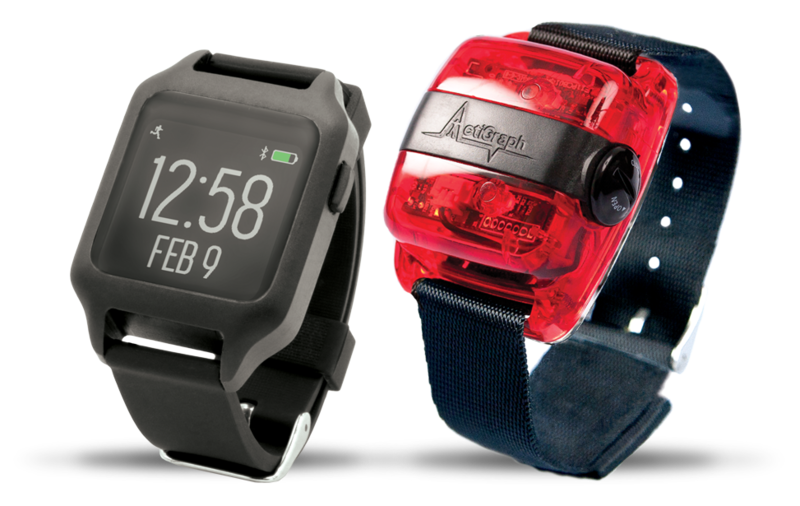 ActiGraph’s innovative actigraphy monitoring system delivers 24-hour, real world information about sleep/wake behavior, circadian rhythms, and daytime physical activity. With its ability to capture high quality continuous sleep/wake data for days and weeks at a time, the ActiGraph system is a cost-effective and noninvasive in-home monitoring solution that offers a level of accuracy and reliability that cannot be achieved through subjective patient reports. ActiGraph actigraphy monitors are among the most widely used and extensively validated devices of their kind. Our clients benefit from a wide range of innovative features, including Bluetooth® Smart wireless technology and real-time data access, that optimize the capabilities of the research or clinical team while improving the efficiency and cost-effectiveness of the data collection initiative. ActiGraph’s ActiLife software platform was developed in collaboration with the scientific community to deliver flexible, high quality sleep/wake and daytime activity measures derived from validated industry standard equations. 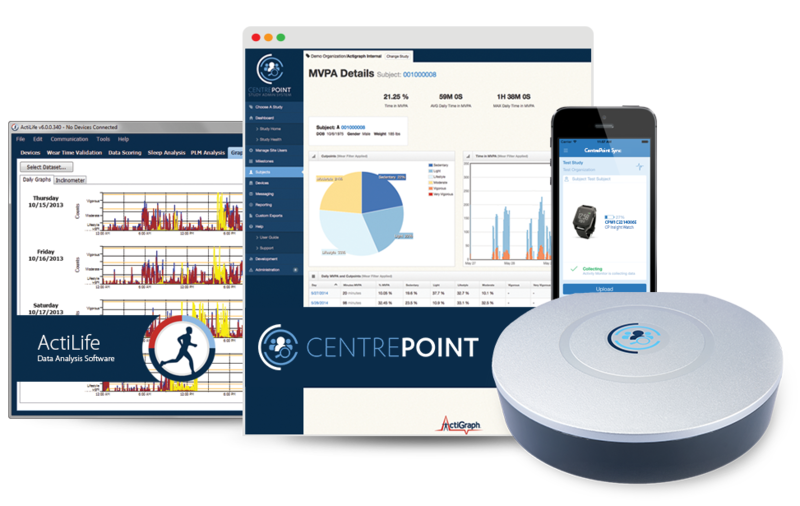 The cloud-based CentrePoint platform leverages mobile, wireless, and cellular technologies to provide clients with near real-time access to subject sleep/wake data, wear compliance details, and overall study progress across multiple research or clinical sites. 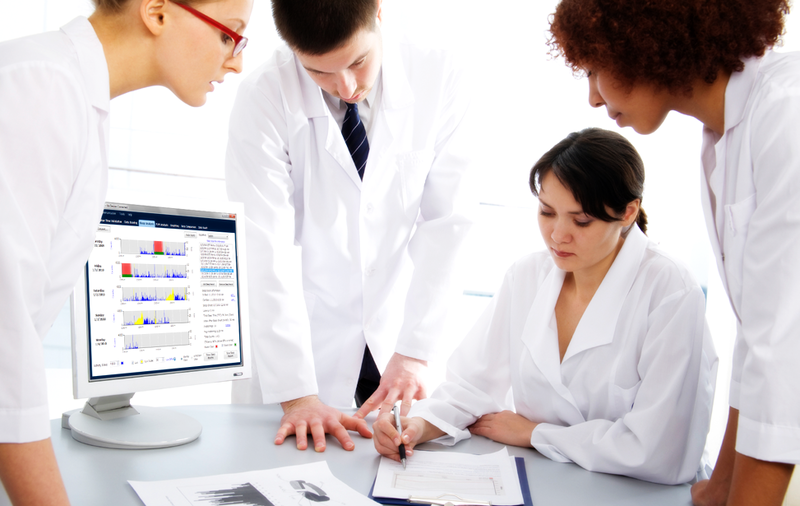 As one of the most widely used actigraphy monitoring system in the world, implementation of ActiGraph solutions within your research or clinical project means collected data is comparable to benchmark population data collected in numerous large scale epidemiology studies conducted around the world, including the U.S. National Health and Nutrition Examination Survey (NHANES), the Raine Study, the Women’s Health Study, and the NAKO German National Cohort Study. Category 1 (CPT) Code 95803 has been approved for the use of actigraphy. Actigraphy (95803) was released under Contract Carrier Pricing; therefore, coverage guidelines have not yet been issued by the Centers for Medicare and Medicaid Services (CMS) and current coverage/reimbursement varies by jurisdiction. All CMS sleep related codes have been under review (including actigraphy) since early 2010. We are hopeful and it is anticipated that a revised reimbursement schedule will be released in late fall with coverage guidelines commencing in January of 2011. Claims for other ancillary services, such as Evaluation and Management (E&M) or replacement supplies and professional/technical components may be eligible for reimbursement in addition to the actigraphy service, but it is not completely certain at this time. 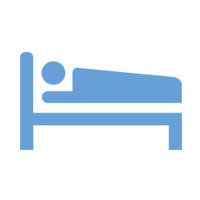 Documentation of patient sleep complaints may be requested by payers to verify the medical necessity of actigraphy testing. Actigraphy may be useful for the evaluation of conditions such as insomnia/hypersomnia, daytime sleepiness, periodic leg movement disorder, and CPAP compliance. Many have found it helpful to verify payer policy and coverage requirements prior to providing actigraphy services. However, utilizing the appeals process post a rejection for reimbursement, has also been reported with moderate success. *Medicare information furnished courtesy of Sleep Review Magazine. For more information, contact the ActiGraph Sales Department. Questions about our Sleep Assessment solution?